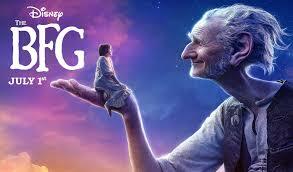 The BFG is a movie about two outsiders triumphing against all the odds. A small, young, orphan girl with no one to miss her and a lonely, small in comparison, vegetarian giant with no friends. Together they are faced with big, strong, powerful, flesh eating giants and with bravery they face the bad guys and triumph. The movie is asking us to identify with these outsiders and it’s easy for us to do because often we feel like outsiders in our own lives. Be it with friends, family or work. The movie invites us to think about how the outsider becomes the insider? How do we know we’re accepted? How can we experience victory? 1 Peter 2:4-12 reminds us that Jesus lived and died as a rejected outsider so that we might be accepted as insiders with God. Just like how Sophie and The BFG we’re accepted by The Queen. 1. Have you ever felt like an outsider? 2. Did you think the theme of the Outsider was prominent in this movie? 3. What other themes did you notice? 4. How does 1 Peter 2:4-12 help us think biblically about living as an outsider? 5. Where are you looking for acceptance and validation? 6. What good deeds is the God who has chosen you, loved you and accepted you, calling you to today?